You can grab a Samsung Galaxy Note 3 4G phone in a cheap £32 monthly deal. UK retailer Carphone Warehouse offered the slim and fast phablet free on £32 monthly contract. If you choose to pay £37 a month you a 1 GB 4G data allowance monthly and a free Samsung Galaxy Tab 3 7″ with the deal. The large screen phone is available in 4 different color, Black, Gold, Red & White. The phone has a nice slick design and comes with a leather back. The £32 deal gives you 600 minutes to any network, unlimited texts & 750 MB of internet / data use on O2 network. You don’t need to pay anything upfront for the phone, as it comes free with the deal. There is not gift offering with this deal, unless you are an existing customer and want to upgrade. If you are upgrading you will get the Samsung Galaxy Tab 3 7″ tablet for free with the contract. 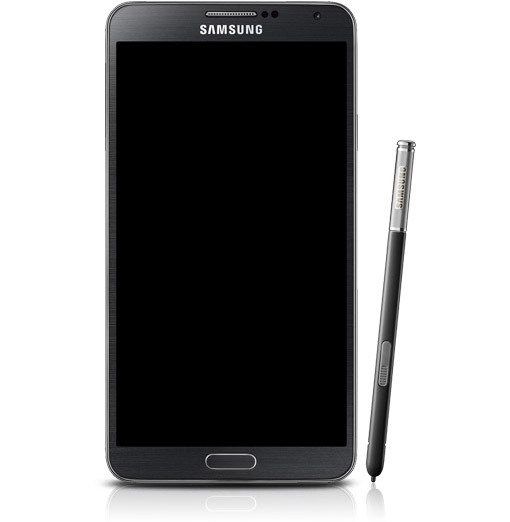 This is the cheapest monthly deal you can get for Samsung Galaxy Note 3 now. The phones has 4G capability. If you are looking for some blazing fast 4G data with this phablet the £37 monthly deal will be suitable for you. Carphone Warehouse offering unlimited minutes and texts to any network and 1GB 4G data on O2 network with this contract. You get the phone for free and a Galaxy Tab 3 7″ WiFi (Black) as a gift. If you are looking for more data, there is another deal, £34 monthly and you £29 upfront cost. You get 3GB data allowance with unlimited texts and minutes on Vodafone network. At a glance the 5.7″ phablet comes with a 2.3 GHz quad-core Snapdragon 800 processor, 3GB RAM & 32GB internal storage. You can add up to 64GB more with a microSD card. The 13 MP camera at the back can record 1080p HD video and the secondary 2MP front camera can be used for video calls or hangouts. Also, the super phone comes with a huge 3,200 mAh battery with a talk time up to 21 hours and 420 hours of standby time. The Samsung Galaxy Note 3 will come with Android 4.3 Jelly Bean installed, unless Samsung already upgraded them to Android 4.4 KitKat. Head over to Carphone Warehouse website to get this amazing deal before it ends. The phone will be delivered free at your home too.